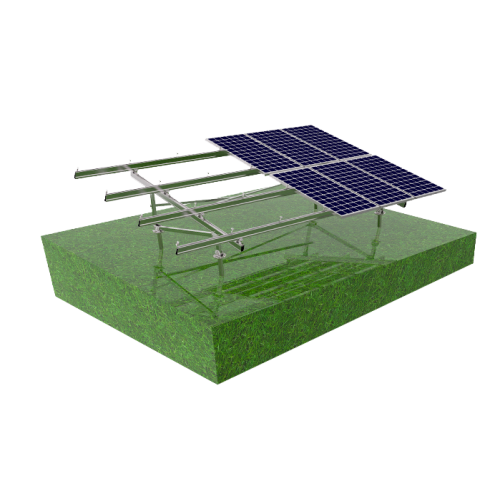 GS AL-Ground Mounting System is made of 100% aluminum to mount on concrete strip foundations or ground screws. It is featured with light weight, strong structure, and recyclable material. In GS AL-Ground Mounting System, with pre-assembled Beam, the size of the legs and the GS 8# Rail is manufactured in the factory avoid welding and cut on the spot, saving your time and cost. Our mission is to simplify your installation and ensure the structure safety.